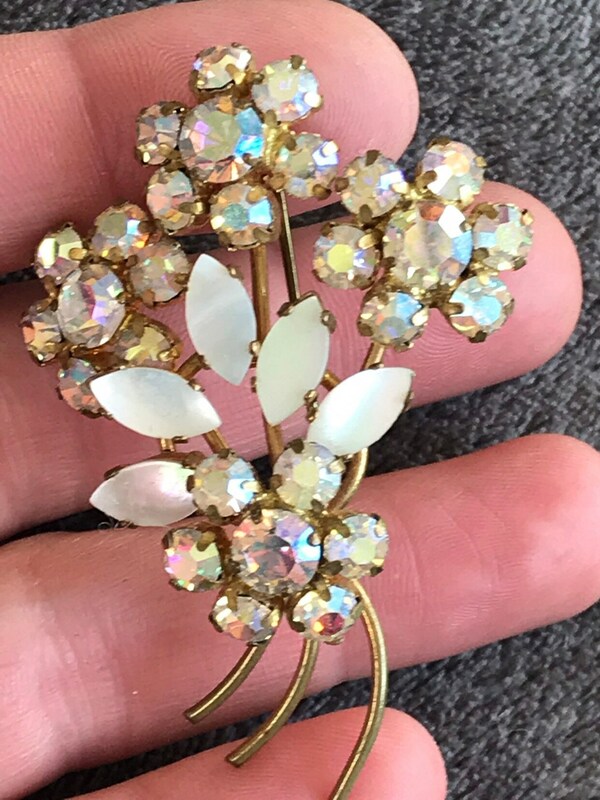 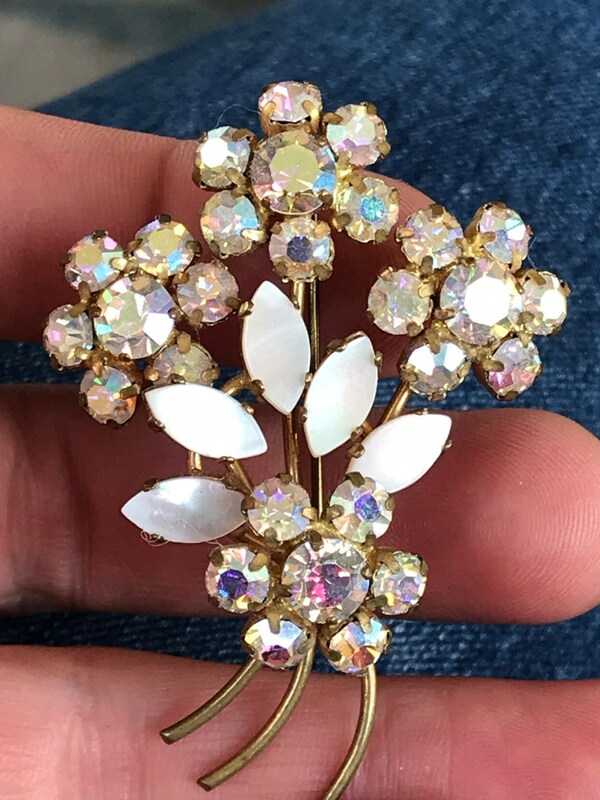 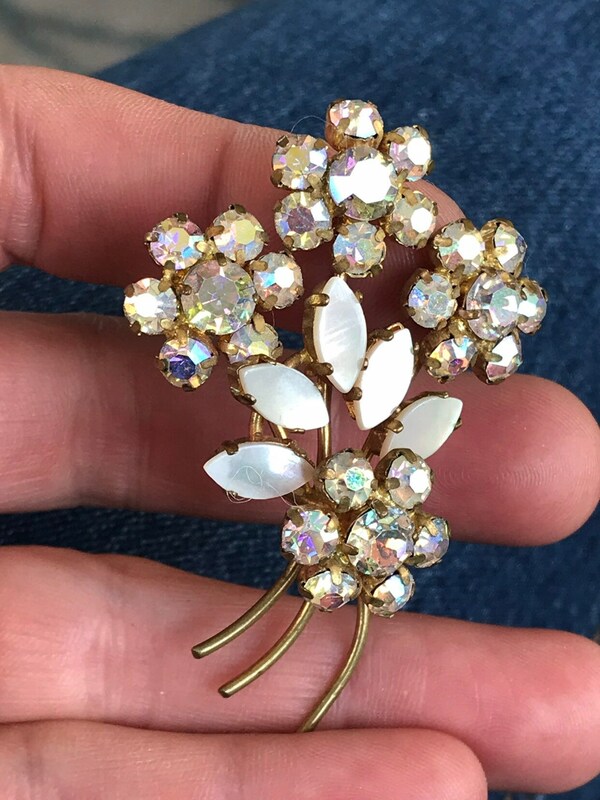 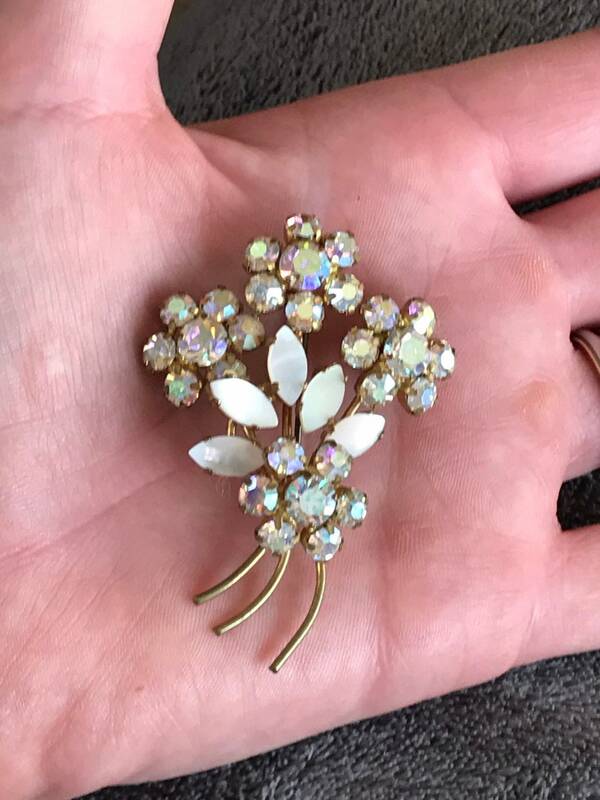 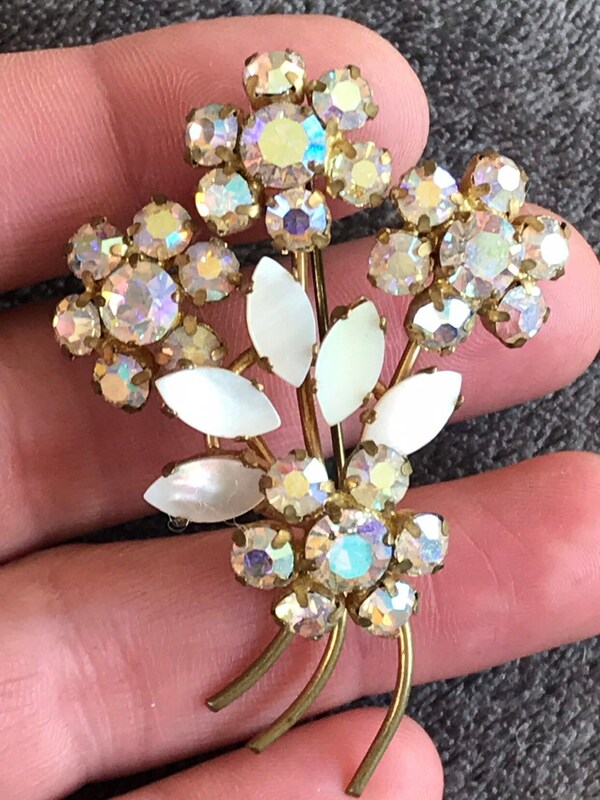 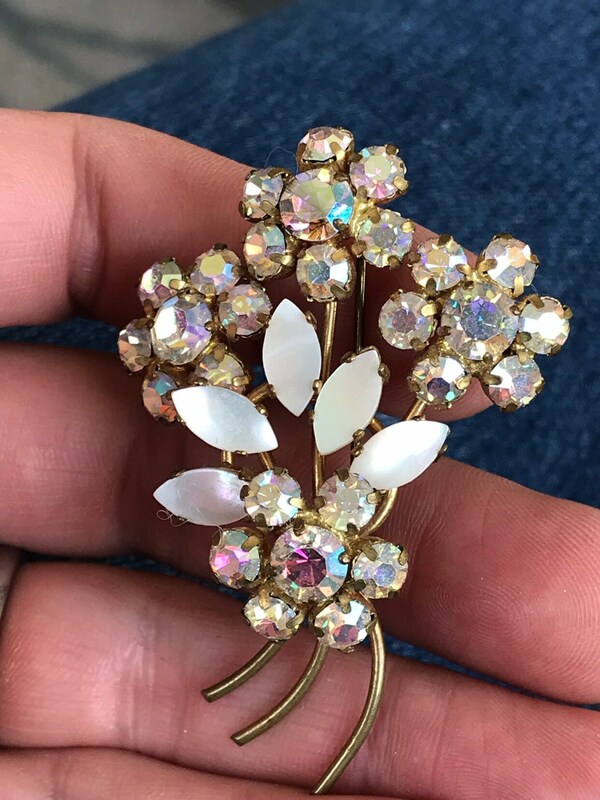 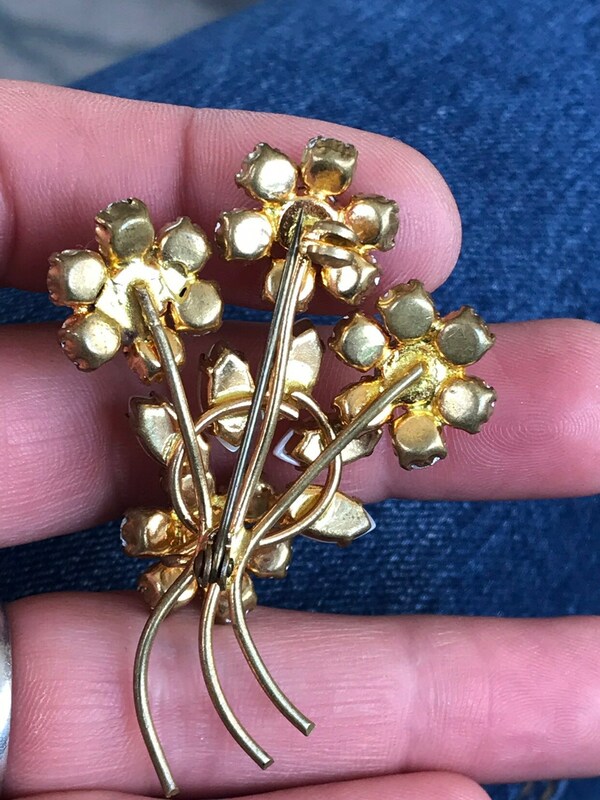 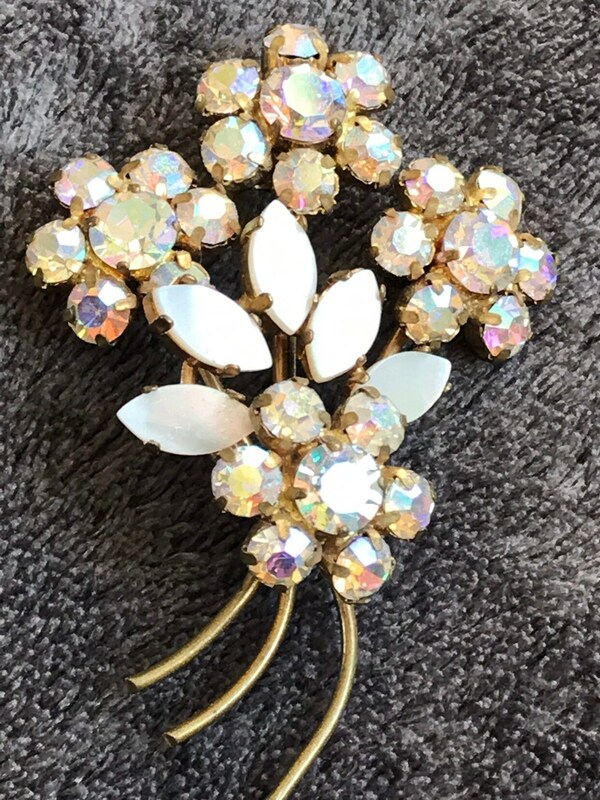 Here is a very sparkly vintage rhinestone brooch it has cut mother of pearl petals and pink tinted flowers. 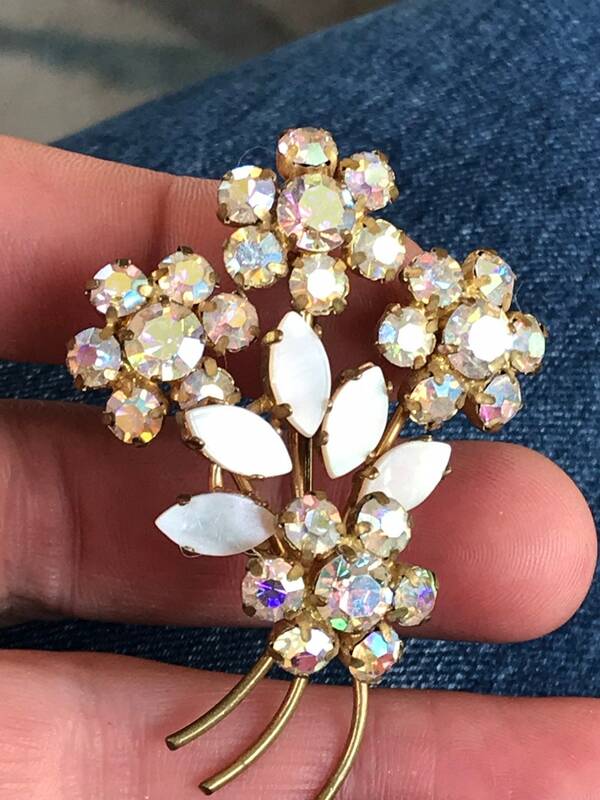 It remains in excellent condition with no damage. 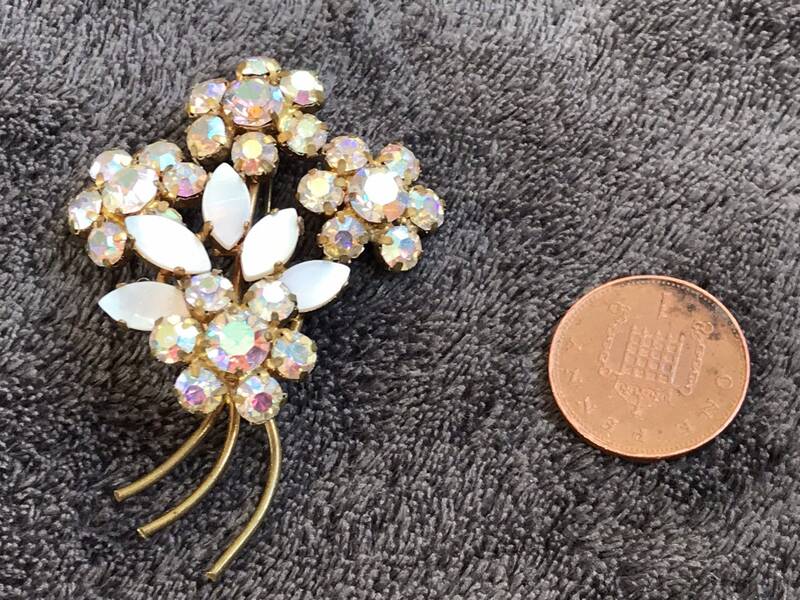 It measures 6cm by 4cm in width.